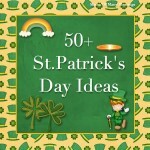 Happy St. Patrick Day Everyone!! 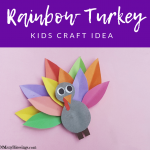 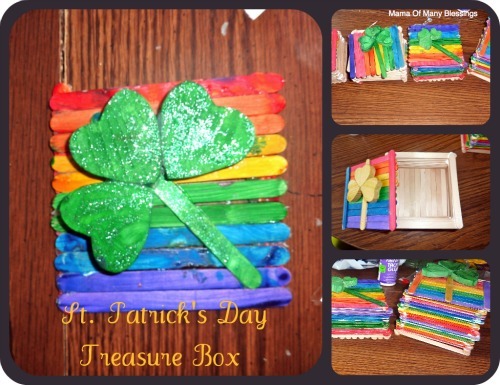 In spirit of the holiday, I have put together a list of some super easy, and fun St. Patrick’s Day art project ideas you can do with your kids that we have done either this year or last year! 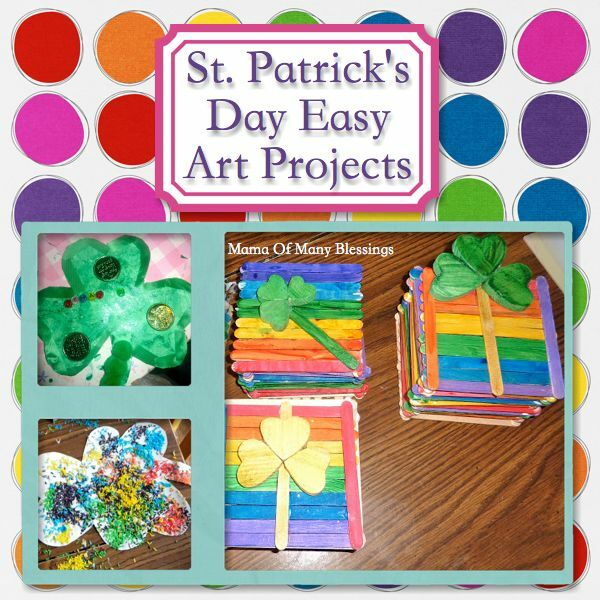 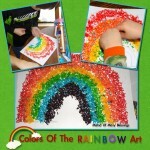 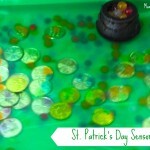 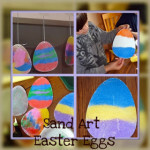 I have a master list of St. Patricks Day art projects and fun over on our St. Patrick Day page as well. 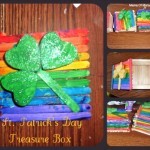 Rainbow Rice Shamrocks ~ Using colored rice the boys made a collage onto a shamrock. Here is his finished shamrock! St. Patrick’s Day Treasure BoxThe kids had so much fun each making their own St. Patrick’s Day Lucky Boxes! 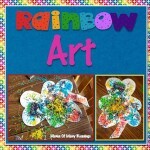 Shamrock Art ~ This was Ethan’s shamrock from last year. 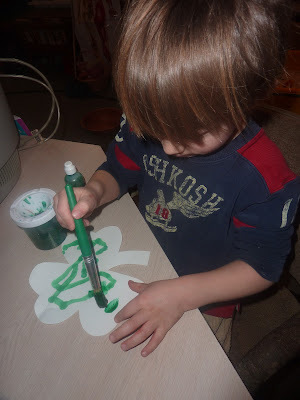 Ethan decided he wanted to paint the whole shamrock using our glitter green paint. 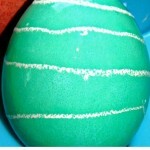 His shamrock all painted with green glitter paint. Once the Shamrock was dry we used green ribbon and glued it around the edges, glued a couple green coins on, he also decided to spell his name using letter beads, and then we put green pom poms on the stem. 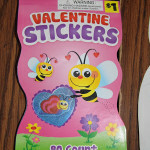 I didn’t get any pictures of us gluing them on because I ended up using hot glue and helped him with putting them on. Colors Of The Rainbow Art ~ We used extra colored rice we had left and not only learned the colors of the rainbow but also made a simple art project. 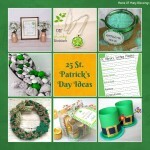 ← Simply Right Baby Care Products For Big Savings!